There's a Gravure 4 U-like God Eater game coming, too. God Eater Resurrection will launch for PlayStation 4 and PS Vita on October 29 in Japan, Bandai Namco announced. The game will cost 6,170 yen on PlayStation 4 and 5,120 yen on PS Vita. First-print copies of the game will include the “Another Character: Lindow” downloadable content—a version of Lindow who possesses a charge spear. Bandai Namco will also release a “Cross-Play Pack & Anime Blu-ray Disc Set Vol. 1,” which includes both the PlayStation 4 and PS Vita versions of the game, plus a Blu-ray disc, for 9,980 yen. A new “Predator Style” of combat, allowing players to devour enemies while in the air and while dashing. The Aragami “Dyaus Pita” has been given a makeover. He’s much more villainous than before. The same six sword blade categories from God Eater 2: Rage Burst are in the game (Short Blade, Long Blade, Burst Hammer, Buster Blade, Charge Spear, and Variant Size). Transformation attacks return. After a sword-shape attack, your weapon can convert to its gun shape. There is an after-story leading into God Eater 2. Following the first volume of the Cross-Play Pack & Anime Blu-ray Disc Set, Volumes 2 through 7 will follow trading God Eater Resurrection for different compilations of a smaller game called God Eater Off Shot, which is basically the God Eater version of The Idolmaster‘s Gravure 4 U games. 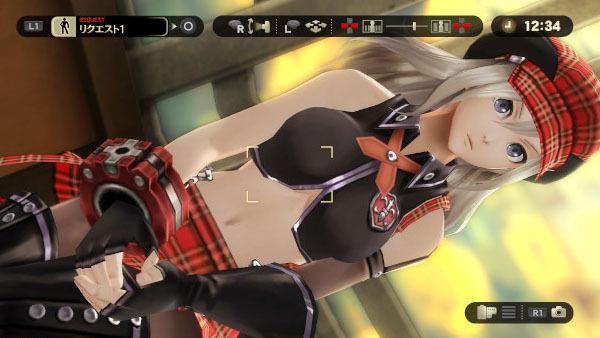 It lets you take pictures of God Eater‘s male and female characters. 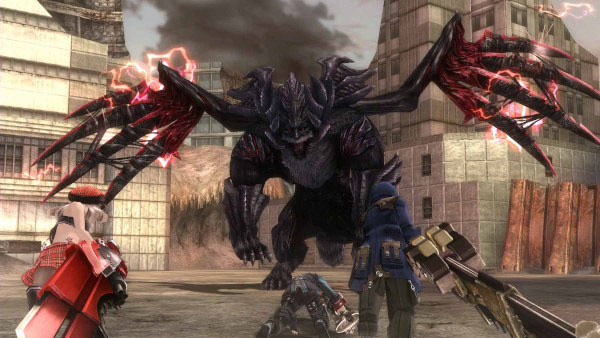 Watch the first trailer for God Eater Resurrection below.